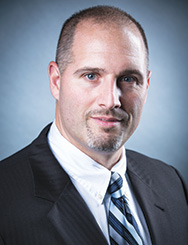 Dr. Stefan V. Franciosa joined the SpineNevada team in 2016. Dr. Franciosa is board-certified and fellowship-trained in Interventional Radiology. In addition, he is board-certified in Diagnostic Radiology. Dr. Franciosa is experienced in diagnosing and treating a wide range of spine and pain conditions. At SpineNevada, he works with the other specialty trained physicians in providing comprehensive and innovative care –all with the goal of helping patients return to active lifestyles. He is experienced in minimally invasive interventional procedures such as epidural spine injections, facet injections, nerve blocks and radiofrequency ablation. Dr. Franciosa earned his Doctor of Osteopathy degree at Philadelphia College of Osteopathic Medicine (PCOM). Dr. Franciosa completed his Diagnostic Radiology residency training at The Bryn Mawr Hospital in Bryn Mawr, PA and his fellowship-training in Interventional Radiology at Thomas Jefferson University in Philadelphia, PA. He earned board certification and was awarded a Certificate of Added Qualification in Interventional Radiology. Dr. Franciosa has extensive interest in the area of both health care economics and quality issues in the delivery of medical services. In pursuit of these interests, Dr. Franciosa engaged in a dual degree program at PCOM attending medical school during the day and graduate business school in the evenings. He was awarded a Masters Degree in Business Administration. Prior to joining SpineNevada and relocating to northern Nevada, Dr. Franciosa served as Clinical Director managing two locations for Hamilton Vein Center in Austin, TX. Previously, he was Division Head of Interventional Radiology at Cooper University Hospital, a Level 1 Trauma Center in Camden, NJ. At Cooper University Hospital, Dr. Franciosa treated patients utilizing a broad spectrum of interventional techniques. Following in the footsteps of his father, Dr. Franciosa felt a great need to serve his country in the armed services. He served as a commissioned officer in the United States Air Force Reserves and is a retired Major. Click here to download and print out new patient forms for Dr. Franciosa.